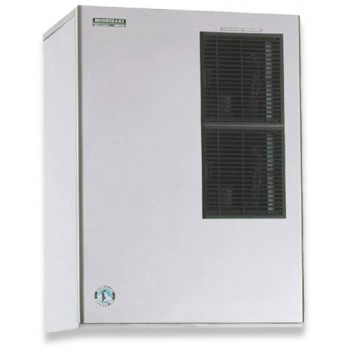 Just like the ice they produce, commercial ice makers are available in all shapes and sizes. Now that you have determined the amount of ice your establishment will require each day, and the amount of space available, it is time to choose which ice maker is best for you. Self-contained units, countertop units, under counter units, and dispenser units are all designed with your specific needs in mind. Self-contained units eliminate the necessity to move ice from the machine to a storage container, thus reducing opportunities for cross contamination. Countertop and dispenser units are ideal for concessions, convenience stores, hospitality, and break rooms. Consider whether or not you want push button or sensor dispensing. Under counter units are an excellent choice for providing easy access at bars and wait stations. Look for a durable stainless steel finish. Other design features to consider are Energy Star ratings, and antimicrobial protections.